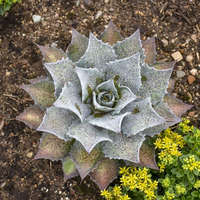 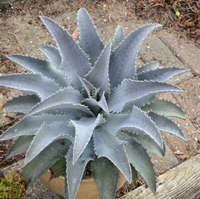 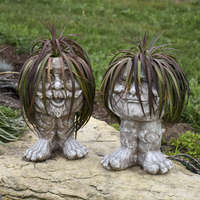 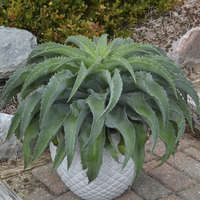 A superb succulent that's fit for a queen! 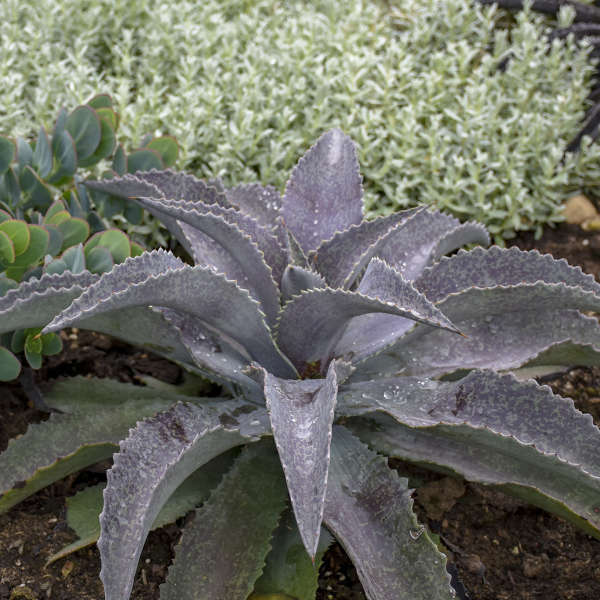 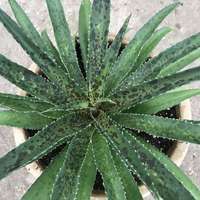 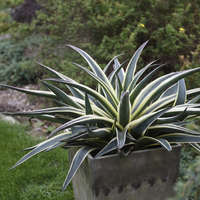 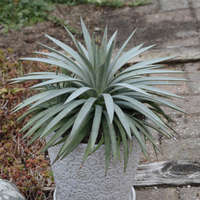 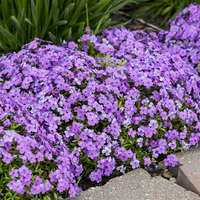 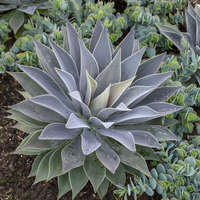 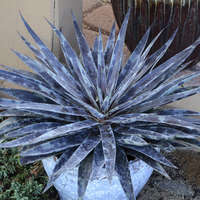 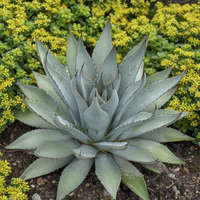 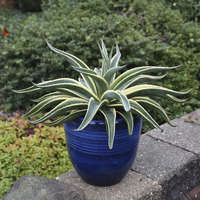 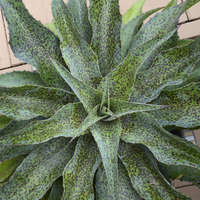 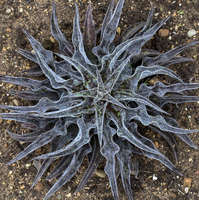 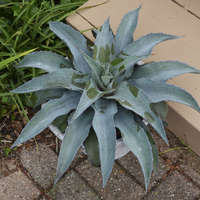 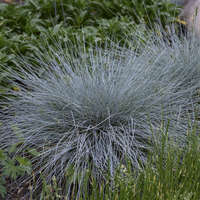 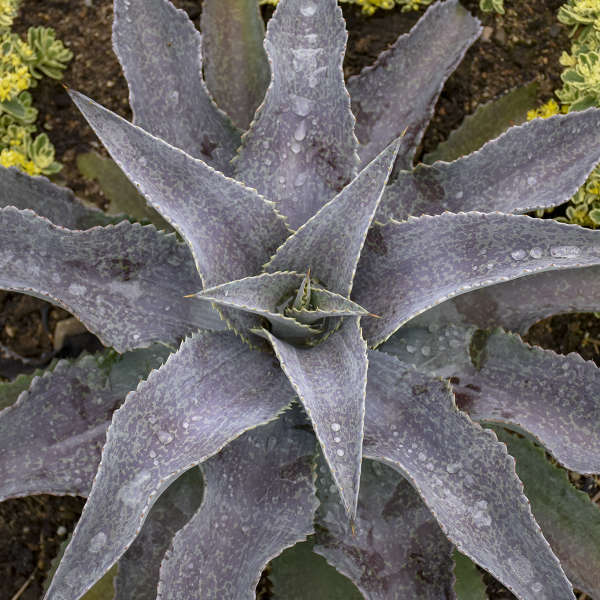 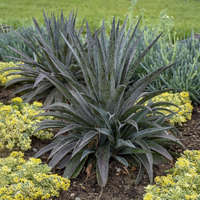 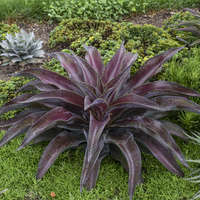 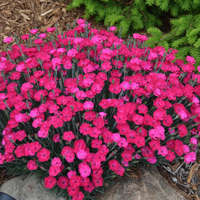 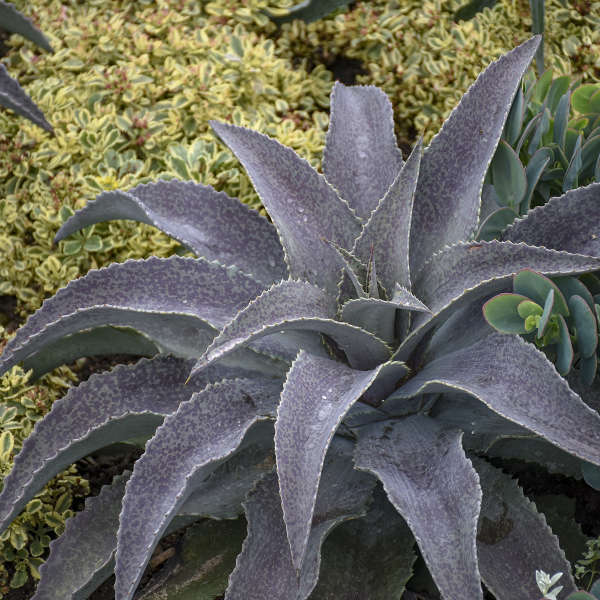 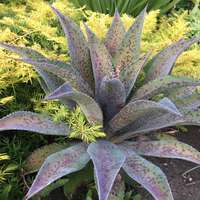 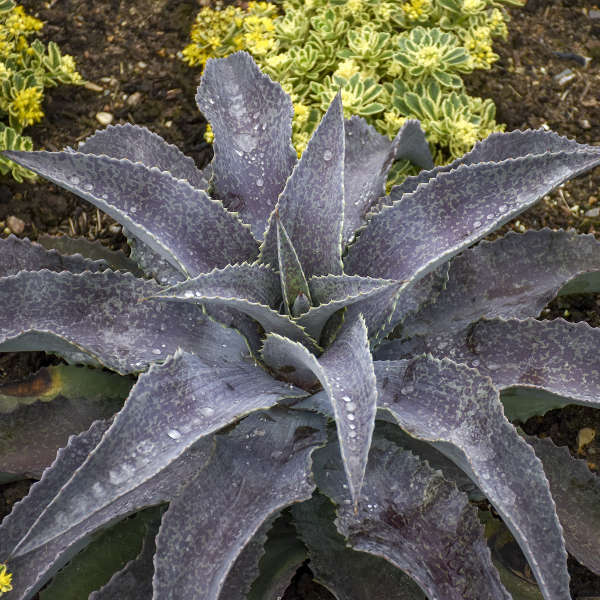 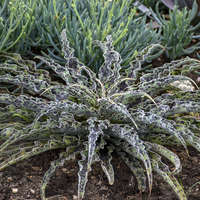 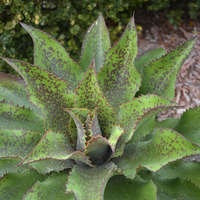 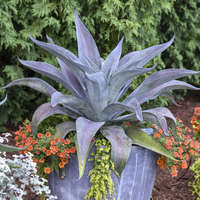 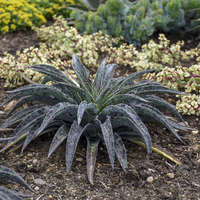 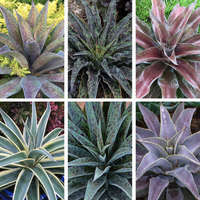 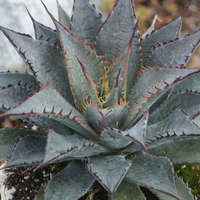 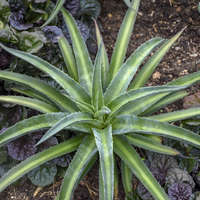 Frosty blue leaves have a serrated edge, with subtle burgundy spots concentrated at the tips. 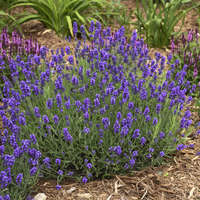 From a distance, the leaves appear lavender. 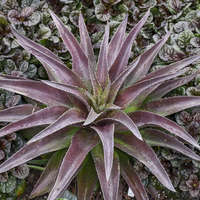 This burgundy spotting is most defined on the leaves that receive direct sunlight; lower leaves will be greener. 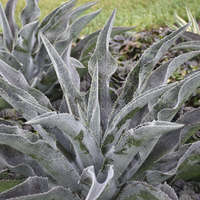 The narrow leaves curl and arch downward at the tips. 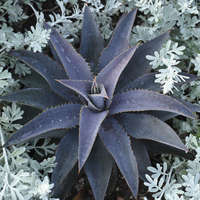 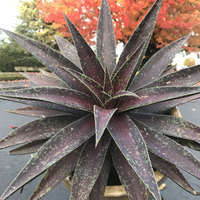 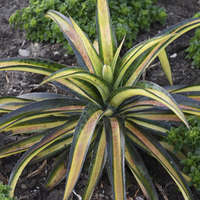 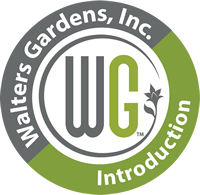 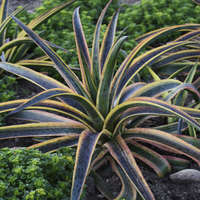 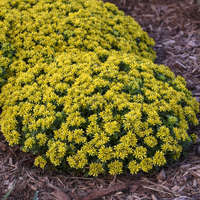 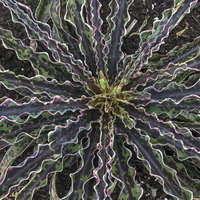 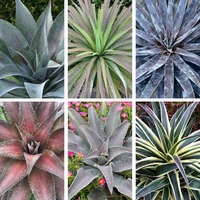 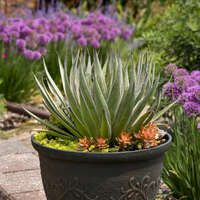 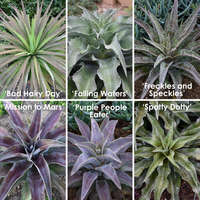 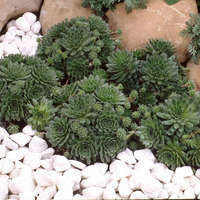 This is a unique hue that will lend itself well to combining with other colored succulents.